Appelboom, a well known retailer of luxury pens based out of the Netherlands, revealed via their Twitter and Instagram accounts yet another upcoming release from Pelikan. Rather than a Souverän, this release hails from Pelikan’s Classic line. Just as the M200 Clear (2012) and Cognac (2014) demonstrators were versions of previously released models with only a slight variation in trim, this new release is also a model resurrected from the past. 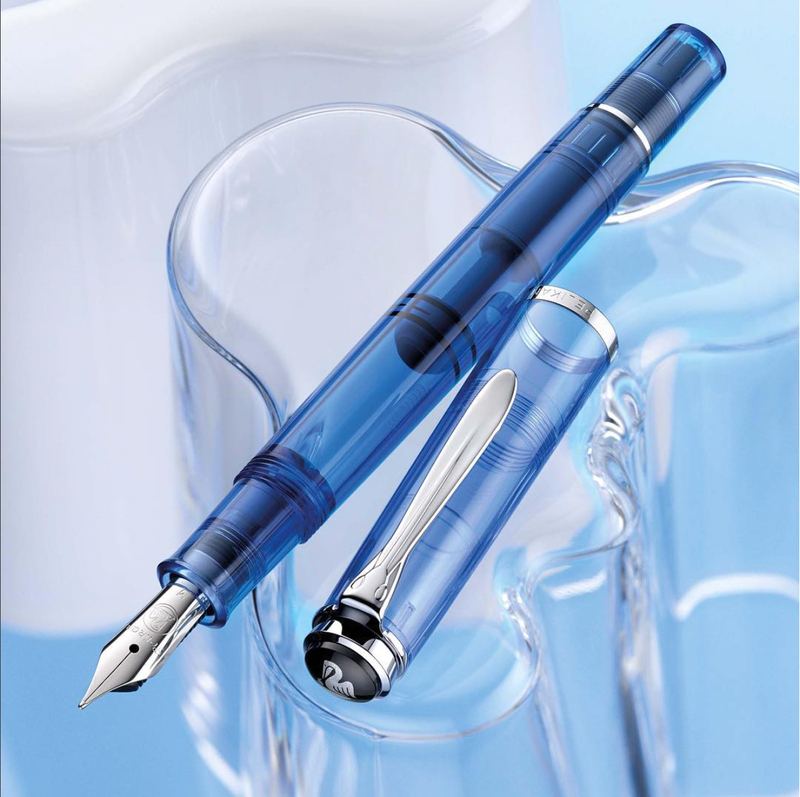 Not previously rumored, the M205 Transparent Blue demonstrator is reportedly coming back and, like the two older models mentioned above, it appears to be a faithful reproduction of the original (released in 2009) with the exception of the crown cap top which will now be plated in chromium. Slated for an April 2016 release, Appelboom is currently accepting pre-orders on their website.